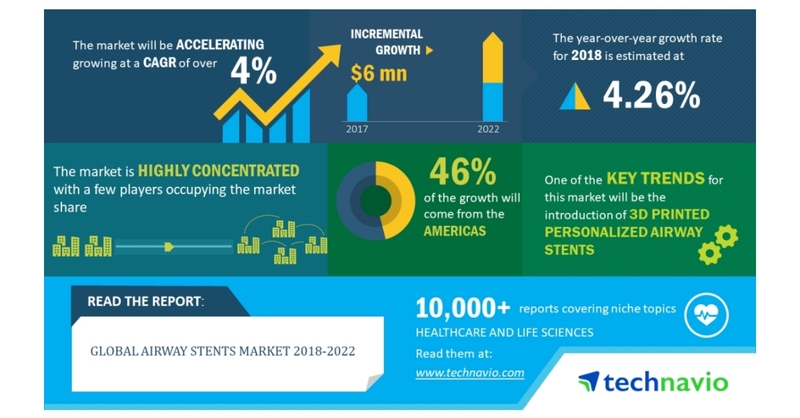 LONDON–(BUSINESS WIRE)–According to the market research report released by Technavio, the global airway stents market is expected to accelerate at a CAGR of more than 4% during the forecast period. The growing prevalence of cancer and respiratory disorders is one of the key factors triggering the growth of the market. This research report titled ‘Global Airway Stents Market 2018-2022’ provides an in-depth analysis of the market in terms of revenue and emerging market trends. It also includes an up-to-date analysis and forecasts for various market segments and all geographical regions.